We’ve all felt that gratifying sense of accomplishment after finishing a group workout. It's that familiar mix of exhaustion and endorphins — and the knowledge that there's a community of supportive folks alongside you, buoying you along. But what about those crazy-busy days when you don’t have time to make it to the studio? Sure, you could exercise solo, but let’s face it: that can get lonely, and your motivation can plummet fast. Our solution? Combine the best from both worlds. 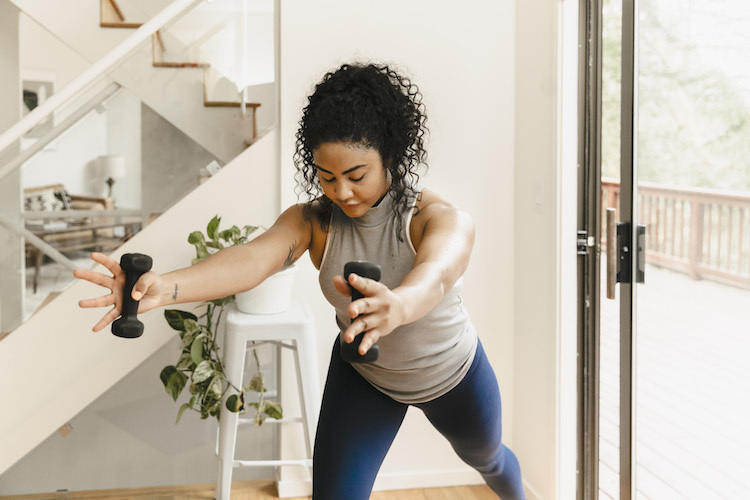 With barre3 Online, you get access to hundreds of workouts you can do anytime, anywhere —and with Bumble, you can find your ideal virtual workout partner to help you stay accountable. The result? All the benefits of a group workout, on your own time. To help you stay active all summer long, we’ve teamed up with barre3 Online to bring you an exclusive offer. Now through July 31, get 25% off your first month of barre3 Online with the code BARRE3BUMBLE. Just click here to redeem your offer and get started! The perks include a new heart-pumping 30 minute workout every Monday plus access to 300+ online workouts and support from barre3 master trainers to help you stay motivated and strong, no matter where your summer takes you.